Barry was born in Salem, Missouri. He became a follower of Jesus at an early age and was baptized in Pleasant Valley Baptist Church in Salem. Raised by strong Christian parents, he felt God’s call to preach and was licensed by his home church while in high school. He attended Southwest Baptist University in Bolivar, Missouri earning degrees in mathematics and religious studies. After graduating, he began teaching high school math here in Warsaw. 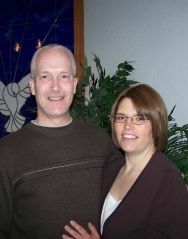 During his 25 years of teaching he also served as interim pastor for several local churches. 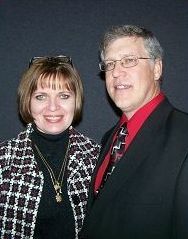 In 1986 he married Kathryn Stone of Lincoln, Missouri and they have two sons, Spenser and Myles. Barry enjoys sports, particularly baseball, basketball, table tennis, and tennis. He enjoys a variety of music styles and plays the guitar. His passion is sharing God’s Word in a way that engages people, and helps them to see how it is relevant to their everyday lives. Jason began serving as pastor of worship and media in March, 2015. He makes it his aim to help God’s people behold the glory of Jesus through God-centered music. Jason completed his undergraduate at Southwest Baptist University and his Master of Arts in Church Music from New Orleans Baptist Theological Seminary. 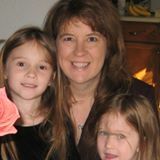 Shannon’s background is in elementary education and she has been an elementary teacher for more than 14 years. She felt that the Lord called her into education while in college. That calling has naturally flowed over in to her church life. Over the years, she has served as a Sunday School teacher, VBS director, youth director, special activities director and now a Children’s Ministry Director. The Lord has instilled a desire in her to see her children grow in His wisdom, grace and love. She is married to Ray Alcantara and they have two beautiful daughters, Alyssa and Alyson. Debbie is a great part of our staff here at Cedar Grove, and she keeps our office running smoothly! Those who come into the office for a visit will quickly notice here servant heart and pleasant spirit. She is a dedicated wife and mother. She and her husband Steve are wonderful parents to three young ladies. As parents, they have instilled in their children a love for the Lord and a passion to serve Him daily. She enjoys music and hearing her girls sing. A perfect day for Debbie might be a day at the lake with her family, enjoying the outdoors.